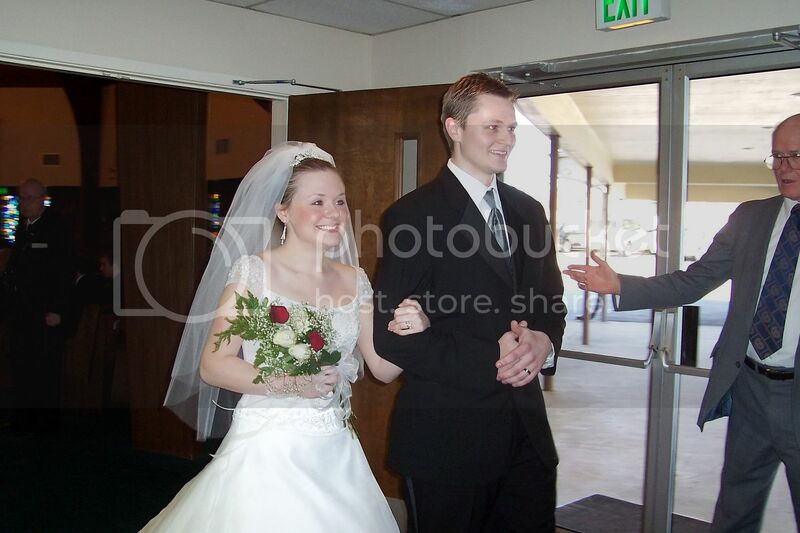 On this day 5 years ago, I married my best friend. He was my best friend then and is my best friend now. I loved him then and I love him even more now. Song of Solomon 3:4a sums it up best saying "I found him whom my soul loveth." (We had this verse on our wedding invitations.) God truly blessed me when he sent me D. I can never thank Him enough for the gift of D's love, devotion, affection and on the list goes. Our relationship is truly a gift. Yes, like any relationship it does take compromise, because no 2 people are alike...but some people say relationships take work. Well, our relationship is not work to me...it just happens. We are truly ourselves when we're together. LOVE HIM. Yes, I got my share of 14s that day (my fave #). 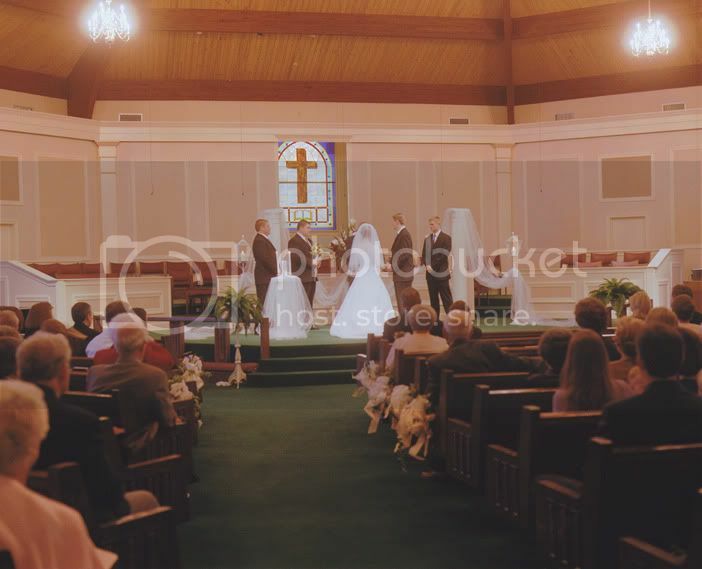 We got married at what was "my church" and now is "our church." We had a traditional wedding but by no means did we follow the "rules" of weddings. No, we did what made the wedding more us. One thing we did different was our attendents. I did not have any bridesmaids. Nope, I had my brothers both stand for me. He had his brother. We're closest with our family, so we thought that was the best idea. 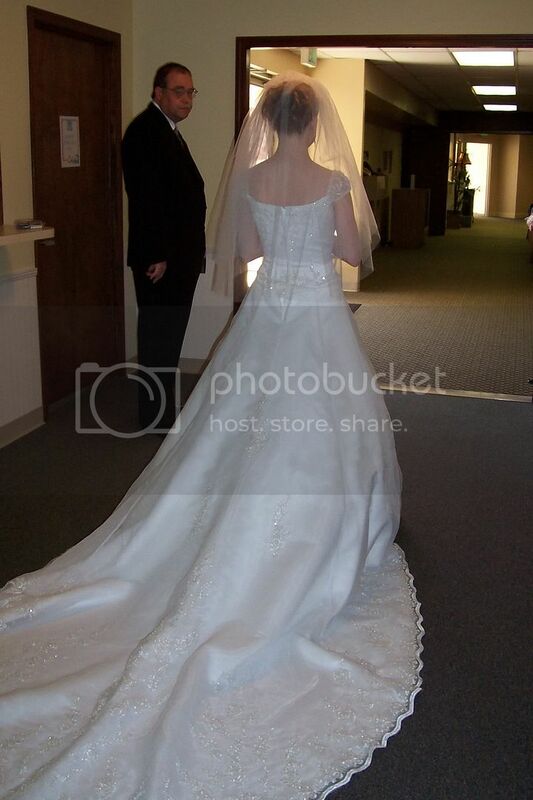 Any wedding I would be in, would never be complete without pictures. I LOVE pictures. So in addition to the regular wedding photographer, we had a table set up for each guest to have their pics snapped in front of a little weddingy scene. A family member took the pics for us with a point and shoot. 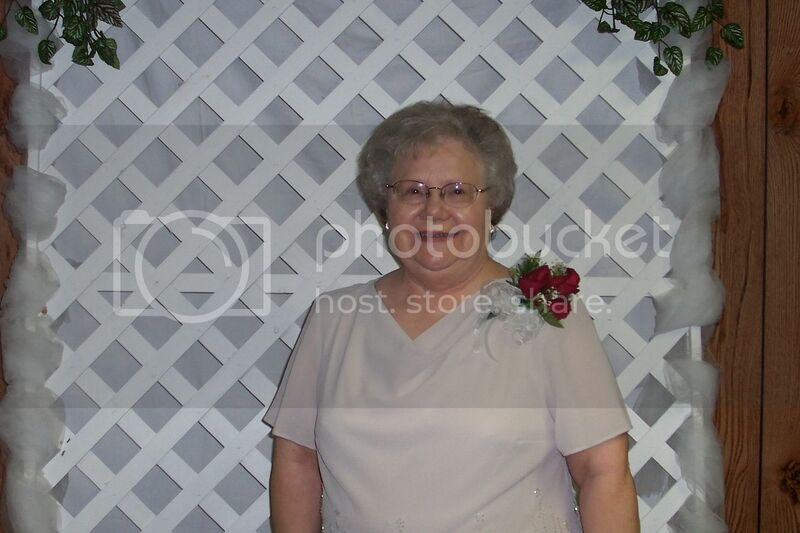 Heres a pic of my Granny in front of it. All those went into the guest registry book we had them sign just before their pic was snapped. Another thing we did differently was our cakes...my mom made his cake AND my cake! 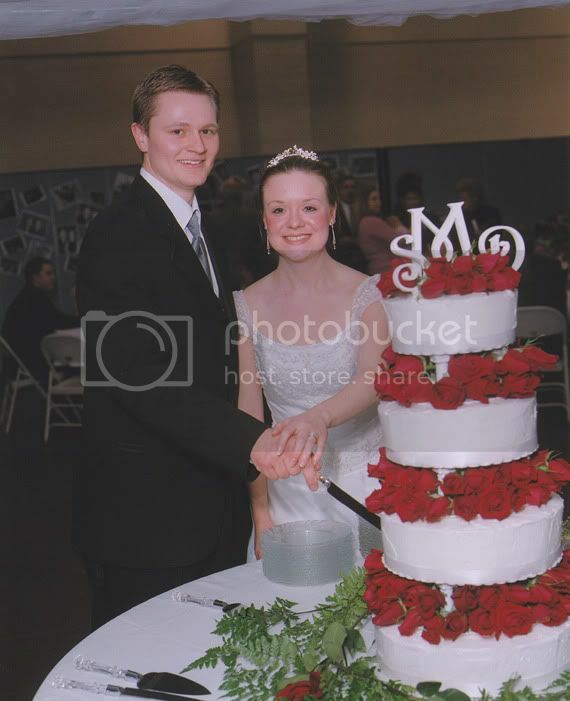 I wanted simple, tiered, rose covered cake with ribbon around the bases. And my mom delivered exactly that. 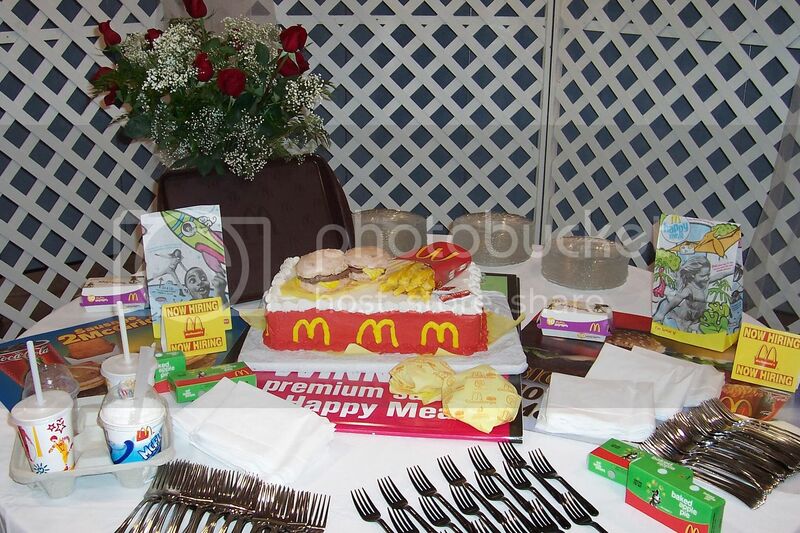 Then for D's cake, she did a McDonald's theme. D LOVES McDonalds. He always got the 2 Cheeseburger Combo. So she made him that combo for a cake. Pretty much everything on it is edible. Then my Aunt Melody went to McDonalds and told them about it and they gave her the signage, napkins, cups, etc. How cool is that? I have an awesome mom. So another untraditional thing we did was our "toast" (of punch) was in some of those McDonald's cups my aunt had brought. Another thing I think that was genious that we did was order all our flowers in bulk from Sams and then arranged them ourselves. For the main arrangement at the front of the church, however, we commissioned a lady at church to create it out of fake flowers. That way I could later use it in our home and be a another reminder to of our special day.If you remember, you can see them in my living room in this post HERE behind my couch in the 1st pic. Also, I love love loved my dress. The train was so long and so gorgeous. I will probably NEVER EVER be able to fit in it again (ya know to renew vows or what not), but I preserved it anyhow. 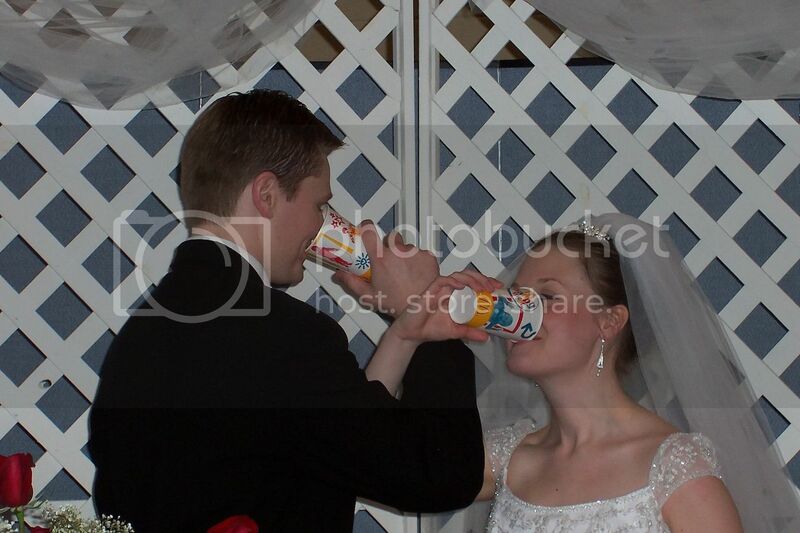 I loved our wedding. Everything about it...but more because of the union it made. It is a God blessed union and I couldnt have asked for anything more. I'm so glad we were able to share that day with family and friends. Of course, the wedding led to the honeymoon and the rest is history....but if you wanna read about that honeymoon related history. Click HERE. No words can accurately describe what you mean to me. So I will simply say, "I Love You."